Manxman Gavin Hunt will make a much-anticipated debut at the Isle of Man TT in June. The 26-year-old has confirmed his entry in all three of the 1000cc races on a ZX-10R Kawasaki. 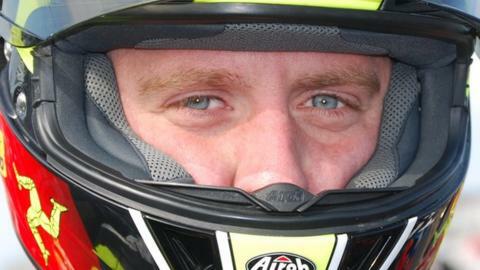 The son of former TT star and Senior Manx Grand Prix winner Paul Hunt has already raced at the North West 200. The Braddan racer will make his debut on the Mountain Course for his JAR Kawasaki team and will be focusing his season around the event. TT and motorsport manager Paul Phillips said: "Gavin has been one of the Isle of Man's most promising riders for a few years now. "It's great to see a local rider coming through to make his debut on the Mountain Course and I'm sure he's going to be one to watch in future years." His father Paul raced at the event 1986 and 2008 with a best result of fourth in the 2005 Superstock race.